Paul Everton Ryan was born in Antigua on the 11th November 1964 to George and the late Gweneth Ryan. He attended the Catholic Pre-School, the Christ the King High School Primary and then the Antigua Grammar School and Princess Margaret School where he diligently pursued his secondary education. 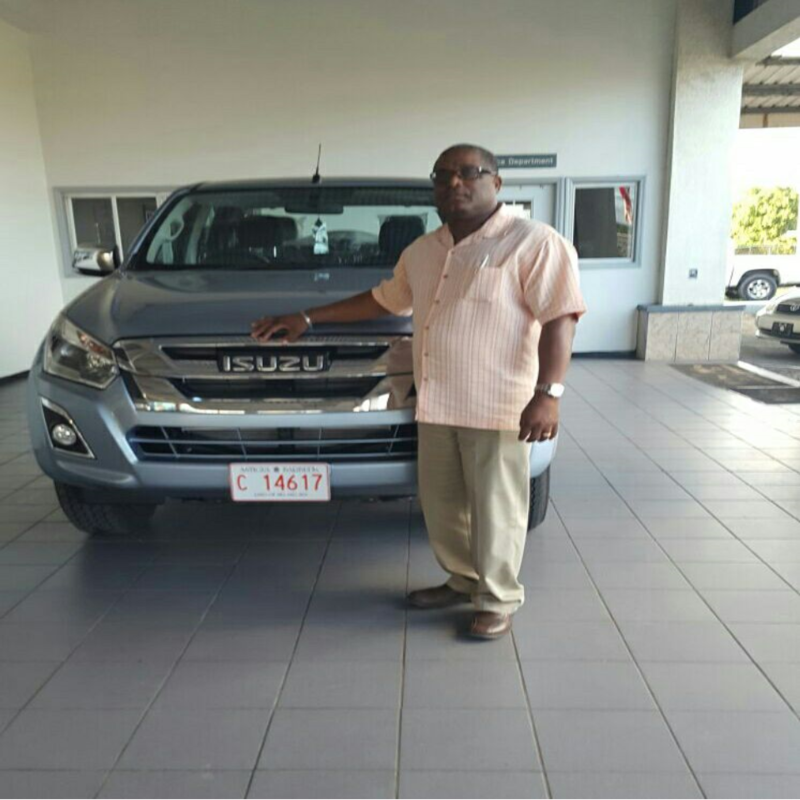 Having successfully completed High School in 1981, Paul took up a position in his family business in Antigua Motors Limited as a sales person and today serves as the General Manager. The Dealership for Honda, Isuzu and Chevrolet on the island. Paul did not attend College or University, which he mirrored from his Dad and developed himself on the job as well as various professional development courses in Japan, USA, South America, Europe, and within the region and holds several certificates in Business Management, and Automotive Technology. As an ardent car enthusiast, he taught himself to drive by nine taking out the family car without permission and was competently handling the wheels from the early age of 12. He loved to race and was racing bicycles from age 10 mopeds and scooters at age 15 and racing cars and motorcycles on Independence Drive, Ottos Comprehensive School Stretch, and other street strips illegally, to include Crabbs. Bethesda and most other roads that had at least a 1/8 mile straight stretch. At age 16 he obtained his driver’s license and got his first vehicle a 600cc Honda pickup. As a race car driver, many hours and money was committed to building fast cars with the aim of always being ahead of his competitors. He has also raced professionally and represented Antigua in Florida, Trinidad and the USVI region. Paul believes in dedicating one’s self to service of humanity and national development, and as such over the years have given of his time to many associations and groups. He was a Founding member of Antigua and Barbuda Auto Sports Inc and served as Chairman for a few years and organized the early events of the first official Drag Race Track in Antigua. Various Committees for Government and Political Parties for Nation Building. In 2000, Paul became a member of the Rotary Club of Antigua. Over the years, he has held numerous positions in the Club. He served as Secretary, President, Vice-President and the top regional position of Assistant Governor. Today, he continues to commit his time weekly to attending meetings, participating in service project and an active committee member. He loves this organization, which gives him the opportunity to give back. Paul married in 2010 to Francine, his partner for many years and they both reside in Hodges Bay with their two daughters. Paul’s impact in business and the community was recognized by the Queen. In 2012 he was Awarded the Queen Elizabeth II Diamond Jubilee Medal for the Caribbean Realms. On his quiet time, he enjoys Golfing, Cycling, Boating, Volunteering for community projects, Movies and volunteering at the new Race Track.